Why it’s so important to cut back on your sugar intake—and take back control of your health. Over three-quarters of packaged food in grocery stores today comes with copious amounts of added sweeteners, making it easy to overindulge, even if you pass on dessert. Most Americans eat over 82 grams of sugar daily, which is triple the amount recommended by the American Heart Association. Over the course of a year, that equals 150 pounds of added sugars per person. Feeling gross yet? It’s time to resolve to cut your sugar consumption levels down this year. Below are five health risks of overeating sugar and sugar substitutes, and the damage that they wreak on your body. The results are in: eating too much sweet stuff raises your risk of developing type 2 diabetes. According to the CDC, an estimated 100 million Americans have the disease, and millions more are at risk. Insulin resistance is the trigger for diabetes, and foods filled with fat and sugar reduce your sensitivity to insulin, meaning your blood sugar levels go unchecked. Sugary drinks tend to be the most dangerous. When the British Medical Journal conducted an analysis of fruit juice and soda, they found that even eight daily ounces raised diabetes risk by 13 percent. Likewise, research published on PLOS One shows that every extra 150 calories of sugar (the amount in a single can of soda) every day increases diabetes risk by one percent, compared to just 0.1 percent for non-sugar calories. Eight times more addictive than cocaine. That’s what research from Princeton is reporting about the sinister side of sugar. Your body craves this sweet substance like it’s a drug because, well, it is. And like many other drugs, sugar only hurts your body in the process. The taste of sugar triggers signals in your brain that light up its reward pathway and create a surge of feel-good hormones. Too much stimulation reduces their effectiveness, meaning you start needing larger amounts of sugar to feel the same way. Likewise, sugar-induced insulin resistance weakens the synaptic connections between brain cells, leading to impaired cognition, higher depression rates, and emotional mood swings that leave you depleted. Eating refined sugar overloads your liver with fructose, and anything you don’t immediately burn is turned into fat—predominately around your belly. Not only does this leave you looking bloated, but it also leads to lingering health challenges. In fact, reports from Harvard reveals that abdominal fat can raise your risk of high blood pressure, heart disease, strokes, and premature death. Wrinkly, saggy skin is hardly the fresh start you want this year. Yet, sugary snacks might make it a reality. A study conducted at Dartmouth Medical School states that overindulging on sugar leads to glycation, a process where excess sugar molecules attach to collagen fibers, causing them to lose flexibility and strength. As a result, your skin loses elasticity and becomes more vulnerable to skin damage and sagging. A high-sugar diet also deactivates your body’s natural antioxidant enzymes, which leaves you more susceptible to sun damage and skin cancers. Your digestive system is a zoo of beneficial bacteria that keep things functioning as they should. 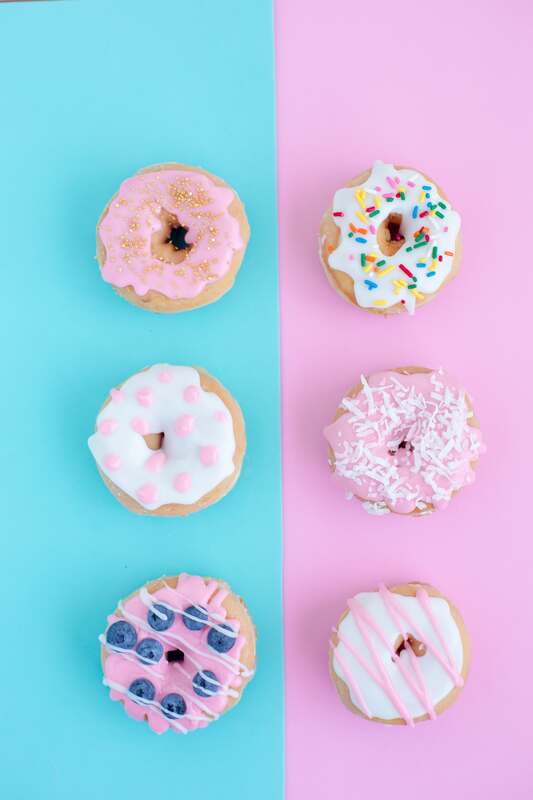 Research funded by the American Cancer Society show that sugar alters gut bacteria in ways that affect mental performance and potentially raise toxin levels in your bloodstream. Because most sugars are digested without microbial help, these hungry bugs turn to nibbling on your intestinal lining instead. Permeating this barrier allows food particles into the rest of your body, which can cause inflammation and fungal growth like candida. Further research from Tel Aviv University also shows that artificial sugar might promote the growth of harmful gut bacteria, which can lead to irritation, allergies and skin conditions, as well as digestive distress. Sugar is terrible for your health, and cutting it out only does your body a favor. So, commit to eat less sugar, and you’ll experience profound benefits in the process. New Book Tackles the Importance of Friendship and an Interview! Online Therapy: Does it Work? Vegan Diet for Clear Skin?